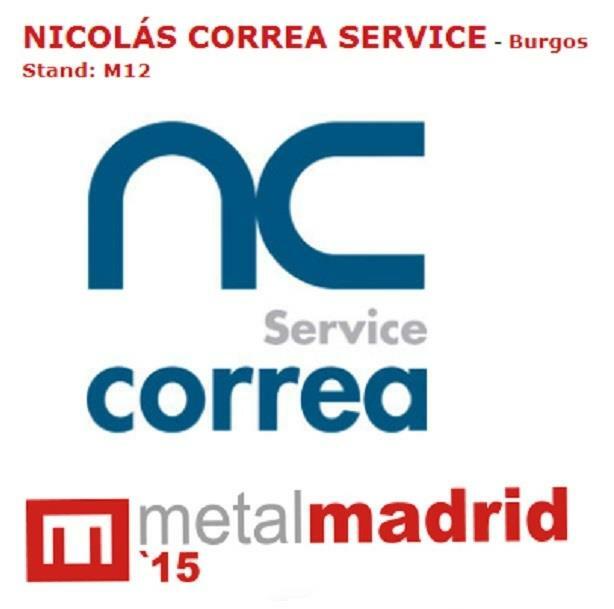 At the NC Service M12 stand, visitors will get the opportunity to discover the company´s extensive experience and professionalism in the retrofitting of milling machines and provision of a technical support service for the CORREA brand. Metal Madrid 2015 is the most important industrial fair in the Community of Madrid, bringing together the major players in the industrial sector, such as machinery, sub-contracting, suppliers, engineering companies, materials and others. Two fairs are also held within Metal Madrid: Composite Spain, the first fair dedicated to composite materials in Spain; and Robomática, showing technologies focused on robotics and automation. After a number of years attending the fair as a visitor, NC Service will now actively take part in this edition, in order to allow visitors to gain an insight into our business, highlighting the fact that we have more than 15 years´ experience in repairing and retrofitting milling machines. NC Service will also give visitors the opportunity to sell us their second-hand or obsolete milling machines and even to upgrade these machines with the latest technology in order to extend their useful life with every guarantee. This will be a unique opportunity to visit us and get to know our current sales catalogue of retrofitted milling machines, supplied with a warranty, in addition to our preventive maintenance and technical support services. We´ll be delighted to see you and to show you our latest developments. Complete the registration form and visit us at stand M12 at METAL MADRID 2015!